Ganesh Chaturthi 2017 is here and we definitely can’t keep calm. This festival, also known as Vinayaka Chaturthi, is to celebrate Lord Ganesha. There will be Vedic chants, beautifully decorated pandals and of course, the amazing food. 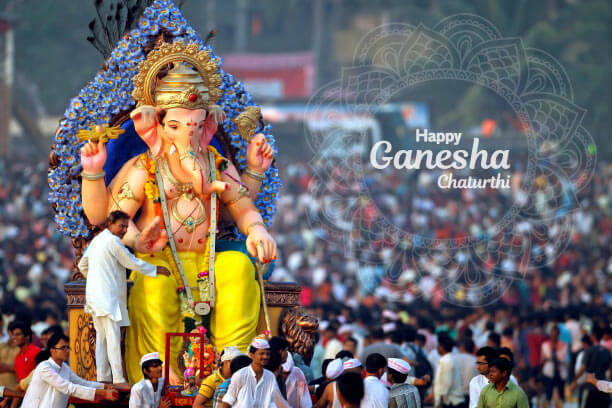 Vinayak Chaturthi is mainly celebrated in the states of Maharashtra, Tamil Nadu, Karnataka and Andhra Pradesh. Especially in Mumbai, Vinayak Chaturthi is celebrated grandly.And like many other rich Indian festivals, Vinayak Chaturthi has its own share of recipes. So here we bring to you 8 Vinayaka Chaturthi recipes without which the celebration of one of the most worshipped Hindu deities is incomplete. 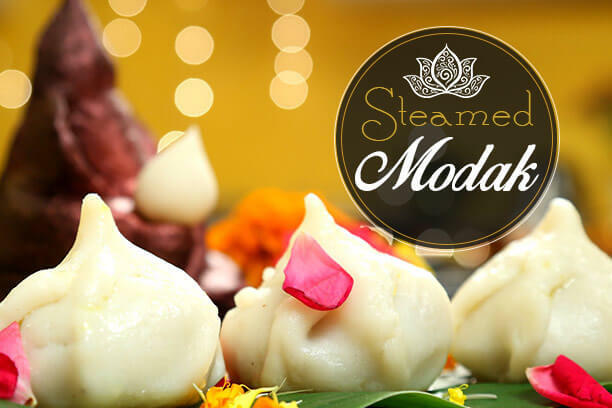 The modak recipe is the most popular Vinayak Chaturthi recipes in Maharashtra region. It is also common in south India as kozhukattai. It is a sweet dish that is also believed to be Ganesha’s favorite. It has coconut and jaggery fillings and both of the steamed and fried modaks are common. 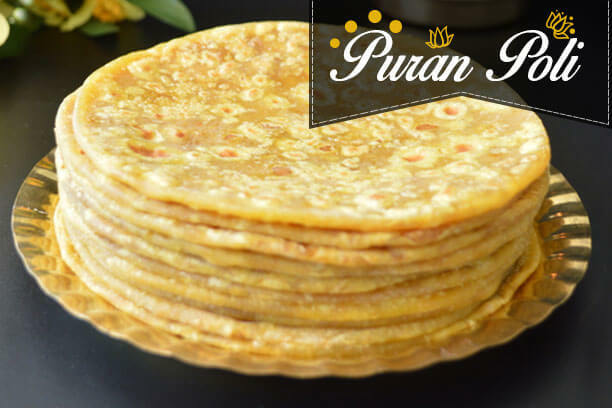 Ingredients: Rice flour, Jaggery, coconut, water, ghee. Heat a pan and fry grated coconut and jaggery. Let them cool and when dried, add cardamom powder to them. Heat 1 cup of water with ghee and add salt and rice flour to it. Mix the rice flour well so that it is free from forming lumps. Shape this into small cups. Steam them in a muslin cloth for about 10-15 minutes. Vinayak Chaturthi is also about the yummilicious halwas that are also served as prasads. We bring to you the almond halwa. 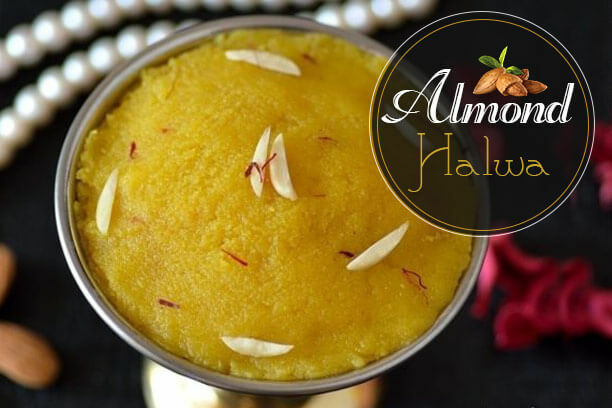 Almond is healthy and a halwa is definitely a must for this festival season. Blend soaked almonds with sugar, cardamoms, saffron and milk. Add the blended almond paste and cook till it thickens. When you see it reached the desired consistency turn the heat off. While serving, you can add nuts to it. It is another popular recipe for Ganesh Chathurthi south Indian recipes. It is popular in Maharashtra as well as in south India. Here’s is the south Indian version of it. Ingredients: Flour, turmeric, oil, chana dal, coconut, cardamom. Add flour into a bowl and add turmeric to it. Add water to the bowl and prepare a dough mixture. Add a little oil to the dough and knead. Take a pan and add ghee to it and heat it. Add jaggery and sugar until dissolved. To it, add the chana dal, coconut, and cardamom. Cook the mixture until it thickens. This is the puran. Roll out the dough into about 3-inch diameter circles. At the centre, place a portion of the puran. Seal the edges and roll them(polis) into circles of 5-6 inches diameter. Place the polis into an already heated iron skillet. Cook them until they turn golden brown. For a better taste, serve them with ghee. Halwa is an Indian favorite sweet dish. 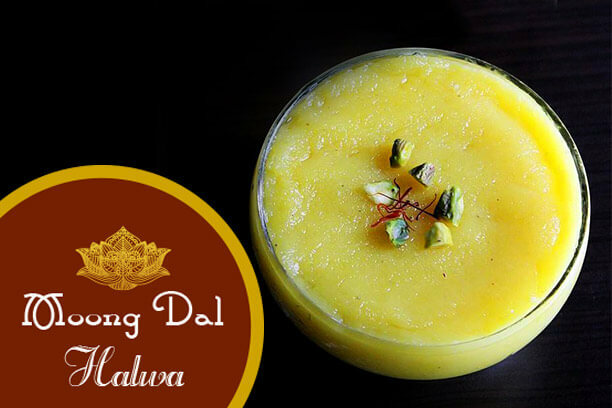 While there are many types of halwa, moong dal is quite popular during Vinayak Chaturthi. So here’s another halwa for you to try. Soak almonds in warm water for about 30 minutes and then make a paste of it by peeling off the skin. Take a pan or kadai and heat ghee. To it, add moong dal paste. Add milk, the badam paste, saffron, cardamom and cook. 1. Enjoy the sweet dishes but moderately. 2. Include green leafy fresh veggies and fruits in recipes whenever possible. 3. Try to replace sugar with better options like jaggery, honey wherever you can. 4. Instead of the coffees and aerated beverages, drink more of fresh juices. 5. Use low fat dairy products. 6. Drink a lot of water, which is important irrespective of the festive season. 7. Prior to the festival day, make sure you eat more of legumes as well as foods rich in fibre. 8. This will help to digest the festive feasts in the following day. 9. Avoid having deep fried foods right after breaking the fast. 10. Use oils like flaxseed and olive oils in place of the heavy oils. 11. Avoid the use of plastic as well as thermocol for decoration. 12. Instead, go for fresh flowers and leaves. This is one simple recipe that can be prepared very easily at home. It can be shelved for over a week and is very delicious to eat. Ingredients: Coconut, cashew, raisins, sugar, milk, saffron strands, ghee. Heat ghee in a kadai and roast cashew and raisins in it. Strain them and keep separately. To the kadai, add grounded coconut shreds and roast. Roast the coconut until its moisture is absorbed. Boil water in a bowl and add sugar to it. Make a syrup of sugar and add milk to it. Add this to the coconut. Keep a medium flame and stir constantly. Add cardamom. the roasted cashew and raisins to it. Place the thickened paste on a ghee smeared plate. 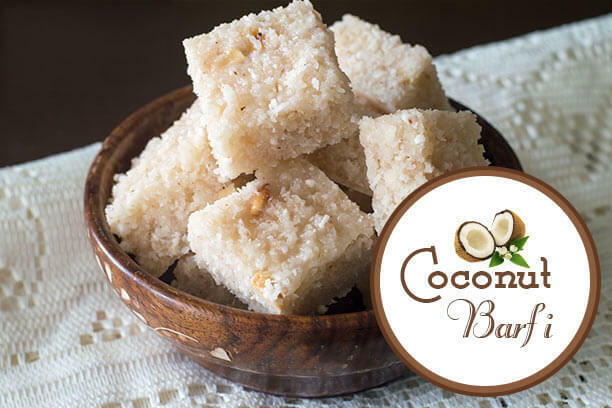 Cut them into pieces and serve your coconut barfis. This Ganesh Chaturthi, celebrate with healthy Red Poha Kheer. The recipe has the goodness of fibre and bran. And the Red Rice Poha is very rich in iron too.This recipe is also low in Glycemic Index and hence maintains the blood sugar level.This makes it great for people with diabetes too. What is a celebration if we don’t have the homemade khichdi? Yes, this Vinayaka Chaturthi try this healthy and yet delicious sabudhana khichdi. The sabudhana will be a good source of protein, iron as well as calcium. If you are looking for an evening snack during this Ganesh Chaturthi and you are not a fan of the sweet dishes, you can check out this recipe. This is an amazing vegetarian recipe that is rich in proteins. So what are you waiting for? Put on your cooking hats and enjoy this Vinayaka Chaturthi like never before. And if you want a consultation on weight management from an expert itself, click here. The best part is, the first consultation is absolutely FREE!